I'm linking up once again for 5 on Friday! 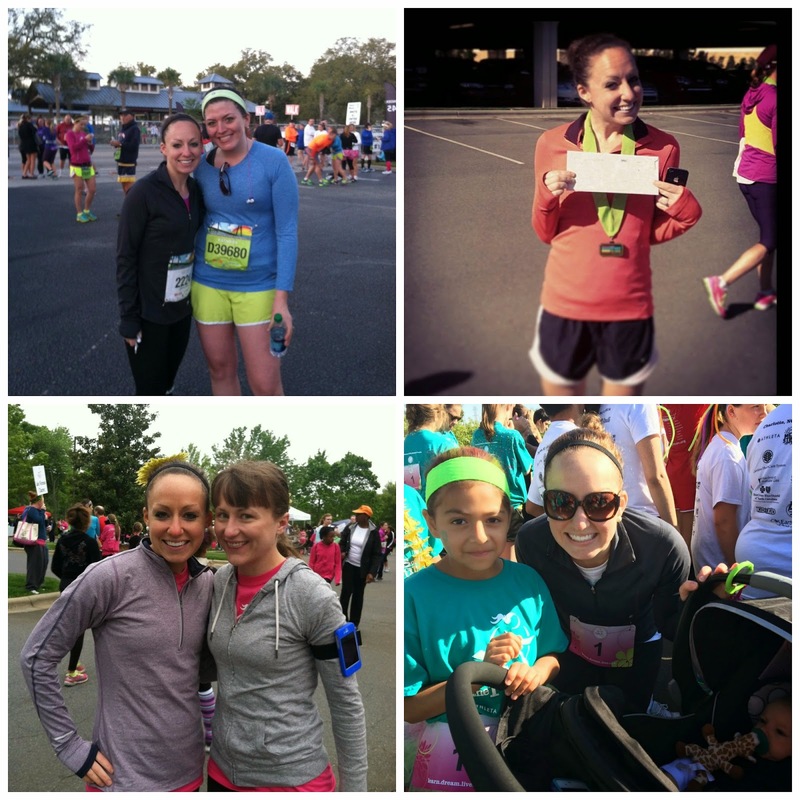 Since I'm running a half marathon tomorrow, here are my 5 random thoughts about that! 1. It is going to be cold, FREEZING cold, tomorrow morning. I am not excited about it, but then I remind myself that it could also be raining (which there is 0% chance of rain tomorrow) or 90000 degrees (which is why I don't do summer races), so I guess I will have to deal with 30 degrees and sunny. ...so I guess that's what I'll be wearing?! Probably the coral colored jacket (in collage, top right) because it is a little thicker than the Nike ones! I hope I stay warm!!! 3. In case you were curious (and even if you're not! 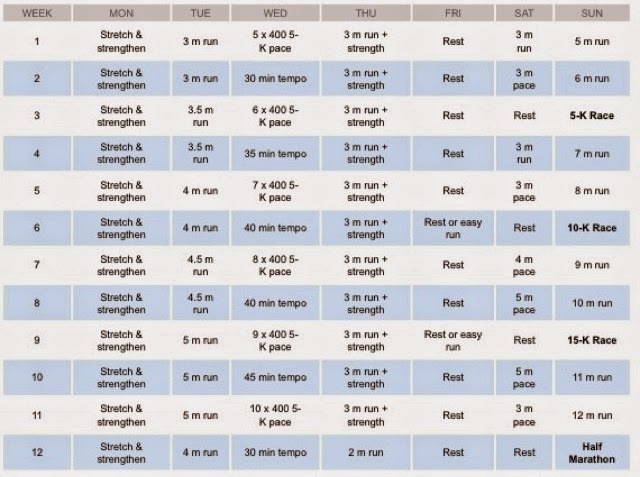 ), here is the training plan I followed for the last 12 weeks! 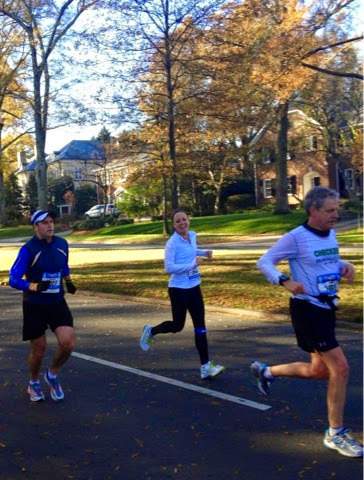 I highly recommend Hal Higdon's plans if you are running a half or full marathon! 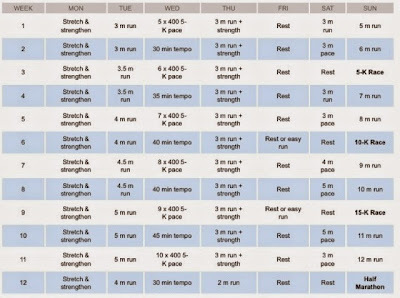 I followed this same plan for my half in 2011 and this one for my full in 2012. I usually tweak them just a little bit; this time I adjusted the long runs so I got up to 13 miles instead of his recommended 12 because I am crazy. 4. 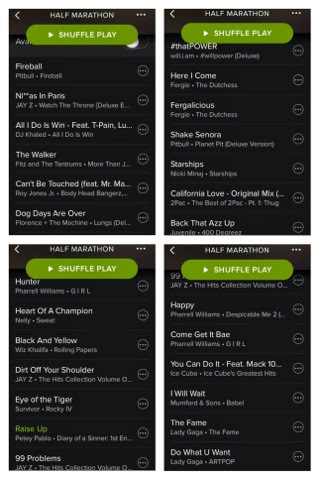 I'm so excited to listen to my playlist I made on Spotify!!! 5. If you are in Charlotte, come cheer!!! 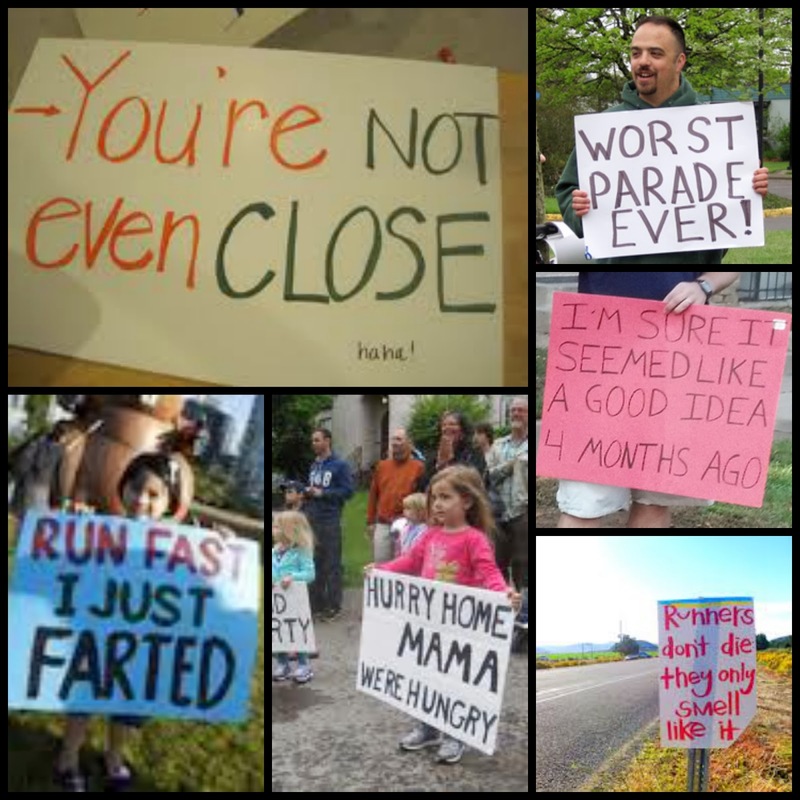 I know it's going to be so freaking cold, but I love, love, love to see everyone cheering on the runners!!! (Just try not to look too warm with your Starbucks red cup and huge blanket!!) The signs make my day!! Good luck to everyone running the Thunder Road Half and Full Marathon this weekend!!! You are just a rockstar, and that makes me want to download Shake Senora right NOW! You'll do great tomorrow!